Like many people Carla McKay thought that yoga was for health nuts only. Things changed, however, when a friend persuaded her to give it try for a laugh. She did laugh - throughout the class. But the practice was also different from what she had expected. 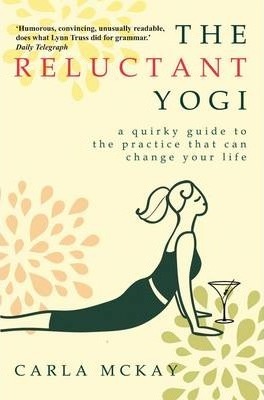 In The Reluctant Yogi she describes how she got hooked over time, and asks experts what yoga does for us. She discovered that research shows yoga has something for everyone of every shape and size, young to old: it will tone your body, calm your mind, make you sleep better, strengthen your bones, boost your immune system and even make you lose weight. Learning her asanas from her pranayama, Carla finds along the way how you, too, can change your life with yoga.